Princess Diana once said, "Carry out a random act of kindness, with no expectation of reward, safe in the knowledge that one day someone might do the same for you." Roosevelt students and staff members are carrying out those words. On February 8, 2018, Roosevelt School had its first "Family Meeting." This assembly recognized students that go above and beyond and are true examples of "Roosevelt Pride." Each recipient, students and staff, was caught doing a good deed or an act of kindness for others and were recognized at the assembly and awarded a Roosevelt Pride pin. Way to go! Jump Rope for Heart is sponsored by the American Heart Association and the Society of Health and Physical Educators (SHAPE). 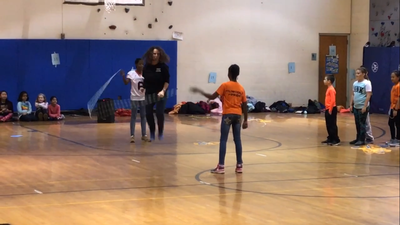 This event engages students with jumping rope while empowering them to improve their own health and help other kids with heart-health issues. learn the value of community service and become empowered to contribute to their community's welfare. join together in helping other kids with special hearts. help your school earn gift certificates for free P.E. equipment! 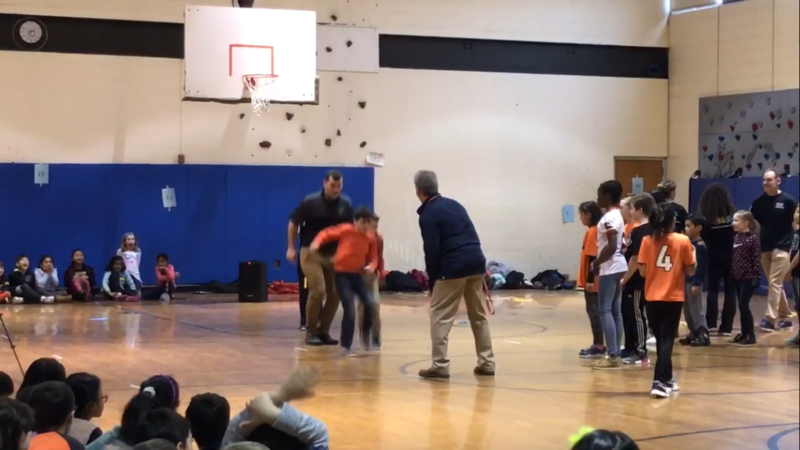 This year, Cherry Hill School's Physical Education teacher, Mrs. Wendy Naimaster spearheaded the "Jump Rope for Heart" fundraiser. The event was kickstarted with a Jump Rope assembly visit from Lincoln School in Hasbrouck Heights, NJ. Lincoln School has a Jump Rope for Heart Demo Team. About 20 plus students make up the "The Lincoln Lazers," as they are called. They travel to different schools all over the state performing their high energy and lively jump rope demonstration as a way to promote the Jump Rope for Heart fundraiser event for the American Heart Association. After the Assembly, Cherry Hill School students participated in the American Heart Association's fundraising and the actual Jump Rope for Heart event. Mrs. Naimaster is pleased to report that Cherry Hill School students raised almost $6,000! This is the 9th Annual event at Cherry Hill School. Click on the photos below to see teachers trying their hand at jumping rope! Mrs. Naimaster, Physical Education Teacher shows the students how it's done! 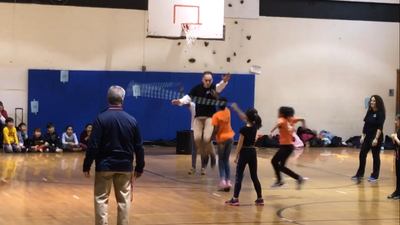 Mr. Armen, 6th Grade Teacher, even manages a wave to the students in mid air! 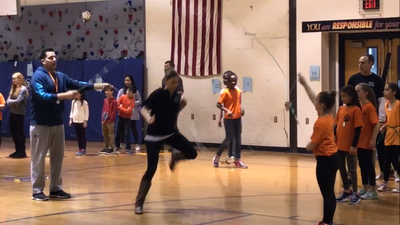 Mrs. Karam, 2nd Grade Teacher, dominates the double-dutch!